Before the fun of a family vacation happens, there’s messy work to do as you juggle schedules, negotiate a destination, and balance a few generations of competing interests. The news flash is that you can make a lot of that hubbub disappear with a Private Family Journey. In a nutshell, you just select an existing itinerary and let us arrange a departure for you and your family members only. You just name your date, turn us loose, and watch the logistical hassles evaporate. We can tailor in activities for all ages, and we always include multiple guides so you all can go in unique directions. You get to feel like you’re on vacation, too—and this strategy makes it easy to go places you might not tackle on your own. Headed into 2018, here are four family favorites. Best Wildlife of Your Lives – The Galápagos Islands, hands down. Giant tortoises, sea lions, blue-footed boobies and iguanas. 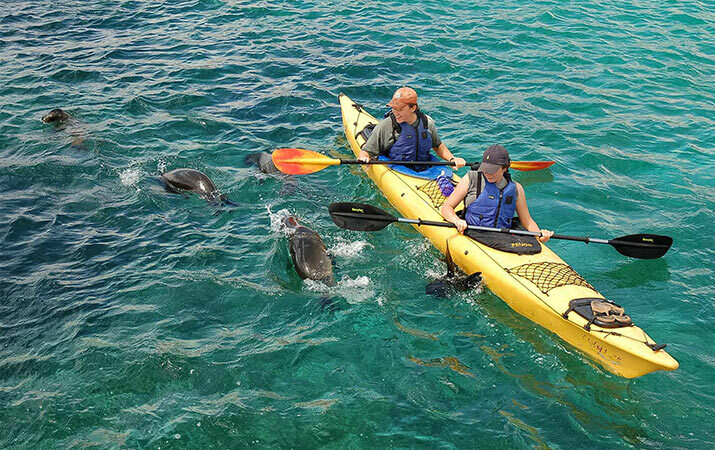 Where these wild things are is also a super-cool place for kayaking, snorkeling, biking and beach time. So you fire up imaginations and burn off excess energy. An island-based week in luxury boutique hotels is way better than fighting cabin fever on a cruise ship. Nearest Far-Out Places – Get your family to Bryce, Grand Canyon and Zion National Parks, neatly packed into one easy week. No passports or long flights required, and the fun is over-the-top. The slot canyons and hoodoos feel like another planet. Mix in awesome mule rides, dune surfing and river tubing. And stay in comfy lodges with roaring fireplaces and sunset views that will make everybody’s jaws drop. 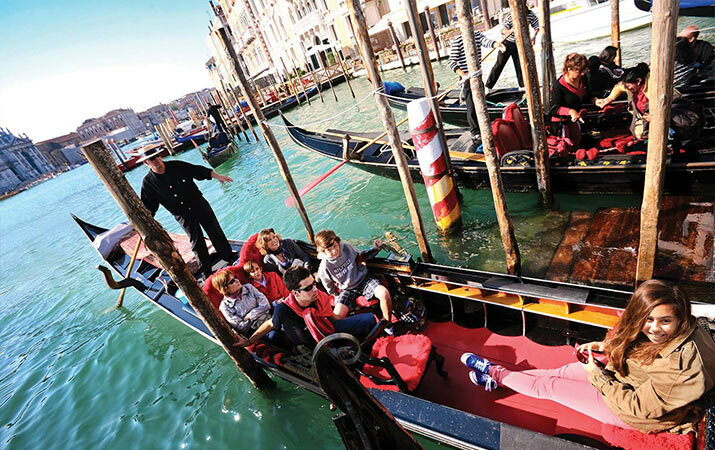 Biggest Bragging Rights – Arrange a week in Venice, Florence and Rome. Gondola rides? Absolutely. Gladiator training in Rome? Doesn’t everybody? In between, you’ll enjoy Florence and a couple of outdoorsy days at luxury hotel in Tuscany’s Chianti region. Activities cover the gamut of age-appropriate fun from pizza making to gelato tasting. It’s an amazing way to pass along your love of travel and culture to the next generation. Most Exotic – Get to Morocco. It’s seriously easy, and one of the friendliest places you’ll ever go. Ride camels into the Sahara, then spend the night in a luxury encampment. You see snake charmers in Marrakesh, meet villagers (and Barbary apes) in the Atlas Mountains, walk in oases where families work in the fields, and the Medina in Fes is like time travel back to the Middle Ages. Years later, my own family still talks about this trip all the time…and we always will.